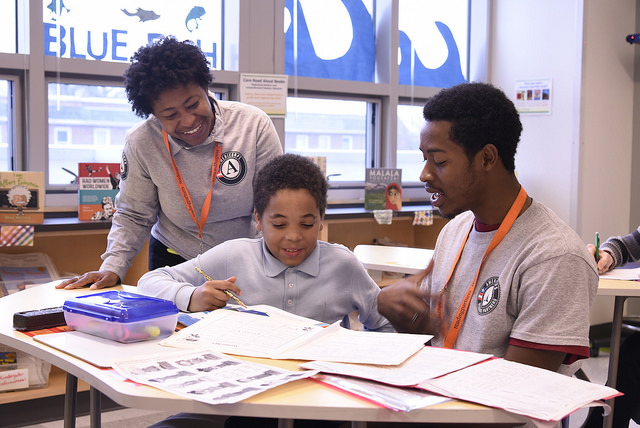 Reading Partners has engaged Policy Studies Associates (PSA), an independent research and evaluation firm based in Washington, DC, to design and conduct the Reading Partners AmeriCorps Alumni Study. Our hope is that the study results will not only deepen our understanding of the quality of the Reading Partners service experience and its effects on the civic engagement and educational and career pathways, but will contribute to our ongoing efforts to improve the service experience for future AmeriCorps and VISTA members. As part of this study, we’ve launched an online AmeriCorps alumni survey for former Reading Partners AmeriCorps and VISTA members. On January 22, all Reading Partners AmeriCorps and VISTA alumni should receive an email from PSA with information about how to participate in the survey. The strength of the study results will depend on the extent to which we hear from the vast majority of you, our alumni. Everyone who completes the survey will receive a $10 Amazon gift card in appreciation for sharing your time and thoughts. Only Reading Partners’ AmeriCorps Alumni who complete the survey will qualify to receive the gift card. A survey link will be emailed to all Reading Partners AmeriCorps alumni on January 22. Any alumni who do not receive their survey invitation from PSA on January 22 can either email Julie Meredith at JMeredith@policystudies.com or click here to generate a pre-populated email request to resend a personalized survey link. If you have any questions about the study or want to offer your help in any way, please email Kate Smiles at kate.smiles@readingpartners.org. We’ll also share the survey results and overall study findings on Reading Partners’ website after the study concludes next winter. Finally, help us spread the word about this important study! If you are still in touch with other Reading Partners AmeriCorps or VISTA alumni, please encourage them to complete the survey (click the buttons below to share).